Spring has officially sprung, putting all the cold, snow and slush of winter in our collective rearview mirror. However, it's important to remember that spring comes with its own particular set of potential difficulties for homeowners to face, and if you aren't prepared to meet them head-on, they can quickly become overwhelming. Insect prevention and control definitely fall under the umbrella of home issues to address in the spring. This is because much of the wear and tear that the recently departed winter weather can put on your house might also make it easier for troublesome insects to work their way inside in troubling numbers. In fact, April has been designated as National Pest Management Month by the National Pest Management Association. With that in mind, search for certain clear indicators of insect infestation and consider having a professional exterminator take a more thorough look. This can turn out to be one of the most vital tasks you turn over to home inspection contractors this spring! 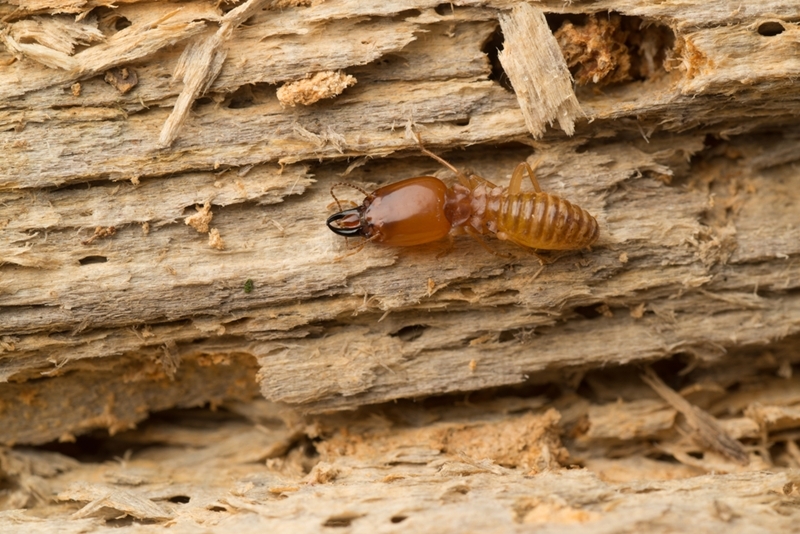 Having an exterminator check your house for termites or other insects is a big part of spring home upkeep. Any cracks and holes in siding, stucco or brick. Compromised areas near pipes, electric meters, natural gas meters or cable TV connections. Shingles on your roof that are rotting due to snow or are otherwise damaged. Weather-stripping around windows and mortar surrounding the foundation. Excessive dampness and/or poor ventilation in your basement or attic. If you encounter any of the issues noted above, you can handle a few tasks on your own to mitigate them. It may still be worth your while even if you didn't encounter those signs. The Environmental Protection Agency recommends using caulk to patch up any cracks or holes you find around your siding, windows, foundation, baseboards and cabinets. Empty spaces around pipes, meanwhile, can be packed with steel wool. If you encounter mold in small amounts, you can use water-diluted bleach to remove the black or gray stains it leaves, and install a dehumidifier down there to help limit moisture and prevent future mold buildup. Home-use pesticides can also help. Many are only suitable for outdoor or indoor use, so be sure to limit them to their designated areas. Also, according to the EPA, if you're using pesticides not contained in bait or trap products, only spray them on areas that are probable ingress points for insects, rather than throughout an entire room. Finally, be sure to keep your children or pets away from these substances and the areas you've used them for several hours. If you already have enough of an insect issue or other problem to make you feel overwhelmed, don't panic. It's time to call in professional exterminators and let them do their job. This principle holds particularly true for leaks and other plumbing issues that could be facilitating insect infestation. Let a properly experienced plumber handle such problems. The same goes for mold testing and inspection – if your attic or basement is seriously mold-damaged, don't try dealing with it yourself.